In my first few months as the Children’s Commissioner for Wales, I have been asking the question ‘What Next?’ to hundreds of children and young people and to parents, teachers and others who work with children. When I ask ‘What Next?’ I mean, ‘what should I do as a new children’s commissioner?’ I also mean, ‘What are the most important things Wales needs to tackle to make sure that children and young people have their rights to be safe, have the things they need and the chance to participate in society?’. It is not surprising that lots of different topics come up. But a really consistent theme is the need to feel happy and mentally well. So, some primary school as well as secondary school age children have talked about feeling stressed about tests and exams. Others have talked about anxieties relating to friendships, bullying, pressures on how they look, sexuality and relationships. Some have had distress arising from very difficult experiences like a death, abuse, being taken into care and homelessness. A few have talked to me about their mental illness such as depression and self-harming behaviours. I have met children who have needed some counselling or other help in the community and also those who have needed time in hospital due to the severity of their mental illness. Most people agree that our mental health services in Wales (and the rest of the UK) need a serious rethink. Our clinical mental health services cannot cope with the demand they are under and too many children who need their services have to wait far too long for appointments. What we need is a well-planned approach that is not just the responsibility of the health service, but also education, youth services, social services and society more widely including parents. We have seen positive steps in Wales with the rolling out of school based counselling to pupils in all secondary schools which was a recommendation from the first Children’s Commissioner for Wales’ inquiry. This has more recently been legislated for in Wales but there is clearly more work to be done in the delivery of these services and importantly a need to discuss the role of schools more generally in the promotion of mental health wellbeing. A broader approach to education could aim to help children and young people tackle the broad things that life will throw at them. They need to be put under less pressure to look and achieve in ways that may be unrealistic. They need space and permission to explore feelings and uncertainties and to be tolerant of difference in others. (Adults need to be tolerant of difference too). They need help to learn how to manage relationships. They need supportive, loving families. They need a listening ear. 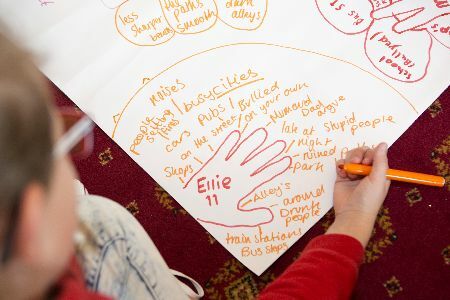 If a young person is starting to develop distress or anxiety then there should be early treatment in the community, including group work sessions and psychological therapies. These should be forms of help that have been shown to help through research (evidence-based). Then, for the smaller numbers who need clinical treatment, this should be accessible, timely and non-stigmatising. This is all a big ask of society, especially as public services face spending squeezes. I am encouraged that Together for Children and Young People, a multi-agency service improvement programme, led by the Welsh Government, aims to look at the issues in these broad ways. The challenge will be in moving beyond strategies and programmes to making real differences to young people’s mental health and emotional well-being. As recently as the end of 2014 a National Assembly for Wales committee outlined the mammoth task this will be. I will be monitoring progress closely over the next few months.